The Yoga Tutor lists the Online Yoga Training programs from International Yogalayam, the Internet's premier online school of yoga. Our courses are the highest standard in yoga instruction online. Our most popular yoga course, this basic yoga course is perfect for yoga beginners and those who would like to start to develop the ability and confidence to practice yoga at home, on their own. The Basic Yoga Trainer includes 21 step-by-step lessons complete with detailed training guides and video demonstrations. Our newest yoga home study program, the Science of Yoga is the perfect Home Study Course for those who are ready to go further from The Basic Yoga Trainer, but unable to commit to the full 1-year Yoga Master's Course. The Science of Yoga is the most comprehensive, concise yoga home Study Course available anywhere ... at a very reasonable price too! The most comprehensive yoga distance education program available anywhere, The Yoga Master's course is second to none in online yoga training. Students of this 1-year yoga correspondence course are awarded a certificate of 480 hours of study in Classical Ashtanga Yoga upon completion. Ayurveda is the ancient Indian system of health and medicine, and the "sister science of yoga". 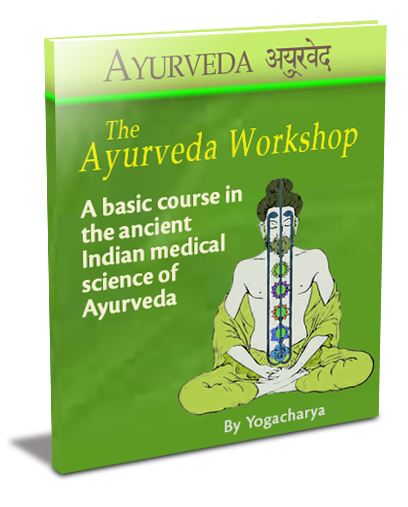 The Ayurveda Workshop is a basic step-by-step introduction to the practical principles and techniques of Ayurveda that provide the perfect compliment to your yoga studies. 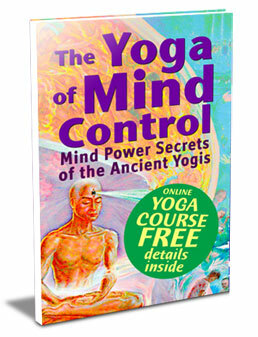 The Yoga of Mind Control reveals wisdom of the ancient yogis seldom shared in the modern yoga world -- their powerful secrets to unlocking the unlimited potential within all of us ... That potential to have and to be all that we want! 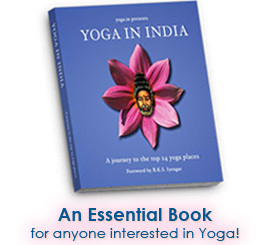 "In the monutain of modern books written about yoga, this one is a real gem. It turns on the light to some really fascinating aspects of yoga that are sorely missed today... I loved it!"